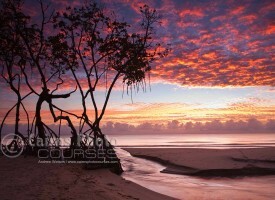 If you really want to immerse yourself in your photography and discover the diversity of North Queensland, we also offer the option of a full day photography tour. As with the half day tour, we can tailor an itinerary to suit your photographic interests. Starting early, you’ll have the opportunity to photograph a northern sunrise, sunset and a number of scenic locations in between. With a duration of approx. 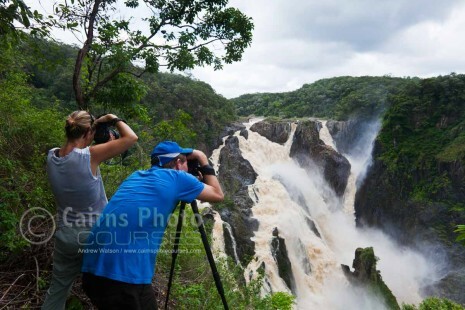 12-13 hours, the full day tour opens up opportunities to explore and photograph areas further afield… whether it’s the coastal scenes north of Cairns, the waterfalls and rainforest of the Atherton Tablelands or perhaps west to savannah country. The tour caters for all levels of photographer, and while the tour is designed with Digital SLR / Mirrorless camera users in mind, other types of cameras are more than welcome. Have a friend or partner who isn’t a photographer? (up to 3 additional places available). 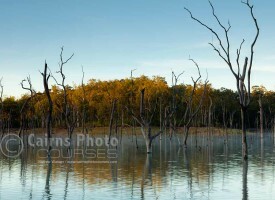 The full day tour is tailored to the areas you would like to visit and photograph. 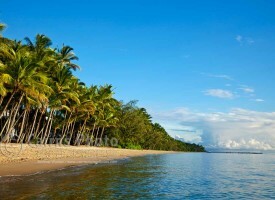 We are happy to create an itinerary for you, that suits the timeframe and your specific interests. To get a feel for the region, you can check out the Locations section. Please note that certain locations are best photographed at specific times of day (or in certain weather conditions), and this will be taken into account when we put together your itinerary. 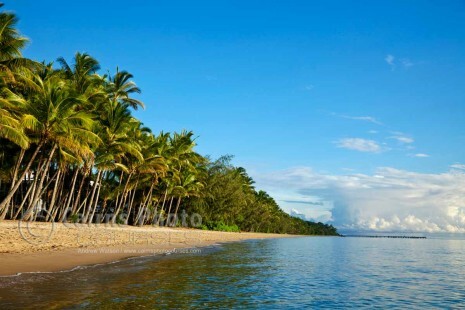 Also, possible locations may vary depending on whether you are taking the tour ex-Cairns or ex-Port Douglas. 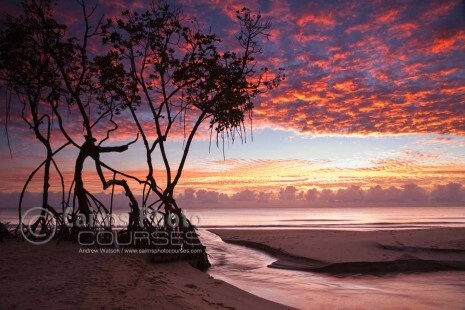 • How to set up your camera, viewpoints and the best settings for the conditions. • Shooting using manual exposure mode for changing light. • Varying your ISO, shutter speed and aperture for creative effect. • Using filters to balance exposure and to add drama to scenes. • Compositional techniques and the use of lenses to create images with impact. 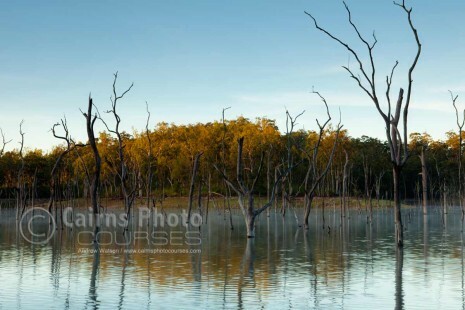 • Capturing a series of images for creating stitch panoramic photographs. • How to shoot seascapes, rainforest scenes and waterfalls. 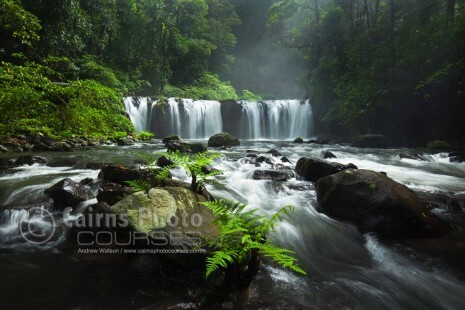 • Introduction to Adobe Lightroom for processing your images. 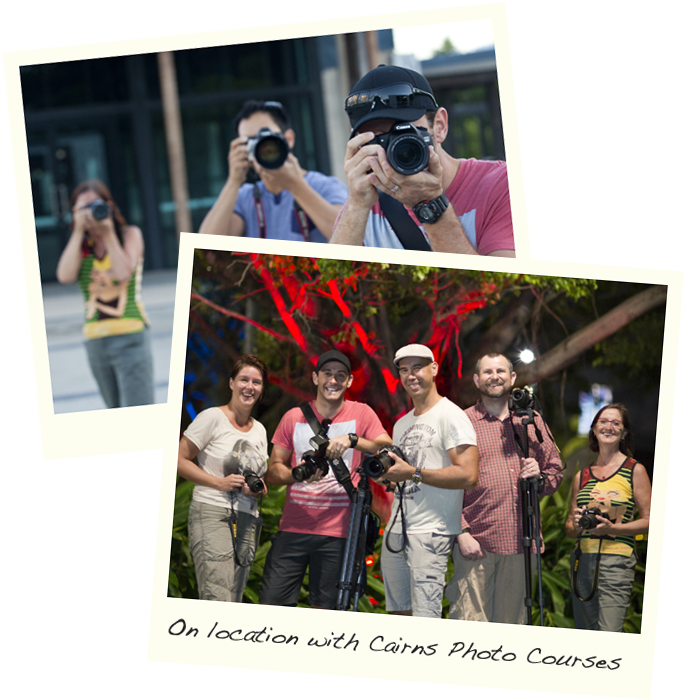 – A tailored itinerary with various locations dependent on proximity, weather and shooting conditions. – Breakfast, lunch, tea, coffee, water and light refreshments. • The tour times very much depend on your chosen itinerary and the time of year. This will be confirmed at the time of booking. 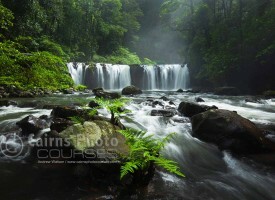 • Bring your camera equipment: camera, lenses, filters & sturdy tripod (if you have these) and a backpack or camera bag. • Also bring: rain jacket, hat, sunglasses, sunscreen, good walking shoes and possibly a change of clothes.